The Beatles with John Lennon, Paul McCartney, George Harrison and Ringo Starr are one of the most influential rock band the world has ever seen. The American author Richie Unterberger successfully manged to describe The Beatles as “the greatest and most influential act of the rock era” and a rock band that “introduced more innovations into popular music than any other band of the 20th century”. No rock band had such an incalculable impact on western culture before and introduced such a wide range of different harmonics and sounds to rock & roll. One of the most fascinating things to know about The Beatles is a feature which is not widely common. 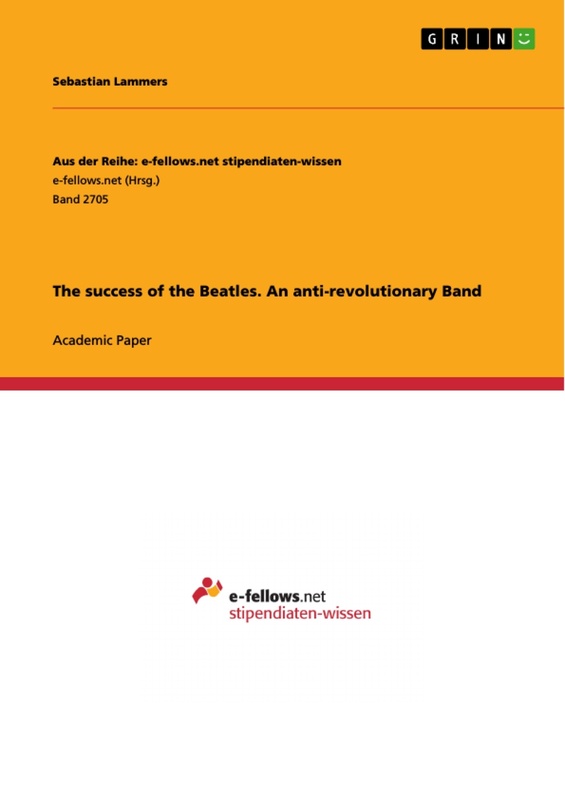 Although they are often described as a revolutionary Rock band (Beatles biographer Mark Lewisohn: “The Beatles revolutionised everything”) they never intended to be that revolutionary. Nevertheless, there is no doubt that they had an enormous success which has never been achieved by any band before. However, the more striking question is how they brought this cultural and musical revolution into being, although they somehow refused this revolutionary mind-set. Alongside several innovations in the music scene, The Beatles left an imprint in innumerable parts of popular culture and influenced generations with their music and lifestyle. When it comes to their musical heritage, they introduced numerous alterations like the use of 12 string guitars and “perfectionist studio extravaganzas” influenced by various musical genres, i.e. Indian music. 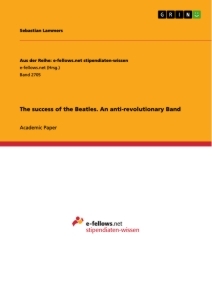 This paper aims at pointing out the main factors for the success of The Beatles in that many areas and how a rock band with an non-revolutionary appeal became the trigger for a “revolution”. Furthermore, I will take a closer look at the “White album” and the songs “Revolution 1” and “Revolution 9” to demonstrate the cultural appeal of their musical work. The “White Album” is the ninth album of the Beatles and was released in November 1968. It became one of the most important ones for rock history and is famous for its wide range of different musical styles from Karl-Heinz Stockhausen to Chuck Berry. Especially the accessibility of their music to every listener made this Album an essential part of the history of popular culture. Nevertheless, there are several other reasons for the success of this album. Firstly, The Beatles address a wide range of different people from different ages, walks of life and musical genres. Especially the “White Album” is a conglomeration of different musical styles because on the one hand, there is the Rock milieu with Rock´n´Roll, Blues, Progressive Rock and Hard Rock. On the other hand, there are traditional styles like country or folk music. Furthermore, the Beatles also employed avant-garde music based on the model of Karl-Heinz Stockhausen or introduced new music genres like Psychedelia Rock which refers to an altered stage of consciousness after the consumption of drugs. Thirdly, the historical context plays an important role when it comes to the success of this album. The release of the “White Album” took place at the end of a tumultuous year. The death of Martin Luther King and Kennedy, anti-Semitic agitation in Warsaw and the May 1968 Events in France are only a few examples. That is why the British-German journalist Alan Posener describes this album as a light in dark winter. The immense intellectual authority of The Beatles at that time is hard to conceive but it becomes obvious that their ideas and ideologies were most popular. Fourthly, they released the album in 1968 at the time of the hippie movement. Many characteristics are existing in the “White Album”. On the one hand there are some songs with psychedelic rock tendencies whereas on the other hand there is an immanent anti-war protest which becomes obvious in songs like “Revolution 1”. Furthermore, a number of songs from the album was written during a Transcendental Meditation course in Rishikesh with Maharishi Mahesh Yogi. Nevertheless, the “White Album” is a final stroke for the LSD consumption during “Summer of Love” in 1967. One year before The Beatles wrote the surreptitious soundtrack for this summer. However, with the release of the new album in 1968 they decided to dissociate themselves from LSD. That becomes obvious when taking a closer look at the covers of “Sgt. Pepper’s Lonely Hearts Club Band”, the preceding album, and the “White Album”. Instead of psychedelic colours, The Beatles introduced pure white, which can be seen as indicator for the abstain from drugs. Summing up they employed trends and movements of that time within their music which enabled people to identify with them. Fifthly, The Beatles derived benefit from the Post-World War II baby boom. That means that they had a huge audience of young people during their years of success. Of course the fan base of The Beatles reached from small children to older generations but there is no doubt that adolescents and young adults were the biggest group within the fans. Furthermore, it is evidenced that younger generations tend to be more unbiased than older generations, which explains the success of extraordinary songs from the white album. Sixthly, The Beatles got more and more political. As far as possible, the band tried to avoid deeper political messages in their first years and wanted to keep their “son in law-image”. However, they could not avoid to place political messages within their songs and especially John Lennon wanted to use his immense influence on the young generation to introduce his political message: Peace and Love. Especially in 1968, this political appeal of their songs was a reason for their continuing popularity, because the huge community of fans was interested in political preferences of their idols. “Revolution 1” was published in 1968 during the Vietnam War and is a song written by John Lennon.  There are two well-known and prominent versions of this song. The first version, which is just called “Revolution”, was released as the B-Side of one of The Beatles’ most famous single “Hey Jude”. In contrast to the second recording the first one distinguishes itself by hard rock elements like distorted guitars or striking drum fills. The second version (“Revolution 1”) was released a few weeks later and is from the album “The Beatles”, which is also called the “White Album”. Within this version they decided to employ fewer distortion guitars and to reduce the heavy rock sound to a smooth slow blues. Musicians who listen to a song called “Revolution 1” would probably expect complex melodies, new rhythms or innovative harmonies which would be symbolic for a musical revolution. Nevertheless, this song is mainly a simple blues with only three chords as the basis. It seems to be disturbing that John Lennon, the composer, chose one of the simplest musical forms for “Revolution 1”. When taking a closer look at the verse it becomes obvious that he makes use of two half measures which are rather uncommon for a blues. Furthermore, the chords are heavily syncopated in that part of the song. In combination with a limping laid back effect the verse is at least partly something special, which breaks out of the simple blues scheme. When it comes to the scheme of the song, the chorus displays no special features. The instrumentation in “Revolution 1” is again rather a standard orchestration consisting of guitar, bass, drums, vocals, trombone and trumpet. The “Shoo-be-doo-wop” which is sung by the backing vocals can be described as a reference to Doo-Wop music. Moreover, John Lennon wanted a divergent sound of his voice and decided to record the vocals lying on the back. That created a certain tension in his voice and fits to the laid back effect of the guitar and drum. Whilst the music is more or less simple, the lyrics contain a profound message. This song is the first overtly political song by The Beatles and tries to convey John Lennon´s opinion on Vietnam war. There are two quotations from the song which perfectly show how John Lennon “packed” his opinion within the lyrics and how he tried to express his view on revolutions against the government. First: “You say you want a revolution […] But when you talk about destruction […] you can me out”. This underlines his immanent call for peace even when it comes to protests or a revolution. The main message is that when you become radical and begin to resort to violence as a solution, you become just as vicious as the system you are protesting against. Second, he employs Mao Zedong, the former chairman of the Communist Party of China, as an example: “But if you go carrying pictures of Chairman Mao you ain't going to make it with anyone anyhow”. That brings the risk of revolution into sharp focus and is an obvious allusion to the cruelties of the Mao regime after the successful revolte. His wife Yoko Ono later told in an interview that John Lennon was only interested in peaceful forms of protest and didn´t want to create a situation where “you destroy statues”. “Popular culture has a way of influencing an individual's attitudes towards certain topics.” That is the definition by Julie McGaha who attempts to point out how influential popular culture can be. The song “Revolution 1” is a perfect example to prove this claim because it contains a specific view on the Vietnam war and is therefore relevant for many people. Furthermore, the style of the song is rather popular which ensures a huge audience. When it comes to the revolutionary appeal of the song John Lennon´s extraordinary opinion towards war becomes obvious. What is striking is the fact that he is against the war but also against a revolution, or at least the violence which is associated with a revolution. That is a further evidence for the anti-revolutionary band, which managed to trigger a revolution. Although The Beatles have been very popular at that time they never wrote political songs. That caused a small sensation and the people and especially the fans predominantly adapted their opinion on the current political situation. The sound collage “Revolution 9” was again primarily created by John Lennon and is the longest track which was officially released by The Beatles. This piece of music strongly derives from the typical Beatles sound and is highly influenced by the avant-garde style of Karl-Heinz Stockhausen. Besides this influence John Lennon was inspired by his relation to Yoko Ono who always tried to experiment with new musical genres as it becomes obvious in her album “Unfinished Music No. 1: Two Virgins”. John Lennon used overdubbed vocals, sound effects and different loops to create this sound collage. Furthermore, he employed effects such as echo or fading to put the different sound pieces together. “Revolution 9” is a sharp contrast to the preceding “Revolution 1”. It gave rise to numerous questions, especially for the young fan base, because the sounds were rather uncommon and the message was rather blurry. Furthermore, it was rather a stringing together of disturbing sound than a piece of music which the average Beatles Fan would expect. Nevertheless, some people even described “Revolution 9” as a piece of “high culture” and not as “normal” popular culture which was criticised by several music critics like Jonathan Gould who said that “Revolution 9 is an embarrassment that stands like a black hole at the end of the White Album”. But even if you decide for yourself that this sound collage does not belong to high culture, it still remains popular culture because of the fact that it was created by the Beatles. Moreover, the author John Storey claims that "Pop culture" is also defined as the culture that is "left over" when we have decided what high culture is”. The idea is that The Beatles were deeply rooted in the cultural life at that time and therefore automatically create or belong to popular culture which is, amongst other things, because of their high reputation. This phenomenon can be described as a part of “Beatlemania”, a movement which describes the intense fan ecstasy of the Beatles during their years of success. Additionally, “Revolution 9” was probably not seen as a strange piece of music by John Lennon himself. Since his childhood, he always experimented with new music genres and created music in a similar way when he was a little boy. According to Pete Shotton, a childhood friend of John Lennon who wrote “The Beatles, Lennon and Me”, Lennon always experimented with music after taking drugs. Furthermore, he stated that John Lennon started to employ tape loops and to run records backwards. That again proves the anti-revolutionary attitude of John Lennon and the Beatles. Richie Unterberger. "The Beatles."Allmusic.com. 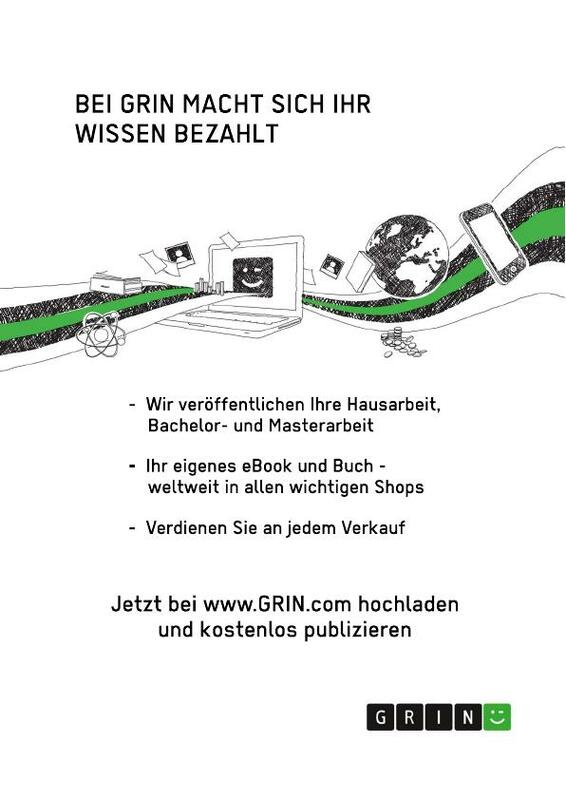 AllMedia Network, n.d. Web. 21 Sept. 2016. Cf. George-Warren, Holly, Patricia Romanowski Bashe, and Jon Pareles. The Rolling Stone Encyclopedia of Rock & Roll. New York: Fireside, 2001. Print. Knapton, Sarah. "The Beatles 'did Not Spark a Musical Revolution in America'"The Telegraph. Telegraph Media Group, 6 May 2015. Web. 21 Sept. 2016. Cf. Hill, Tim. The Beatles: Die Geschichte Der Vier Jungs, Die Die Welt Veränderten. Fränkisch-Crumbach: Ed. XXL, 2010. Print. Wenner, Jann. "Review: The Beatles' 'White Album'". Rolling Stone. N.p., 21 Dec. 1968. Web. 21 Sept. 2016. Cf. Posener, Alan. The Beatles Story. Stuttgart: Klett, 1986. Print. Cf. Robertson, John. The Art & Music of John Lennon. Secaucus, NJ: Carol Pub. Group, 1993. Print. Cf. Harry, Bill . The Beatles Encyclopaedia. London: Virgin, 2000. Print. King, Martin. Men, Masculinity and the Beatles. Farnham, Surrey: Ashgate, 2013. Print. Everett, Walter. The Beatles as Musicians: Revolver through the Anthology. New York: Oxford UP, 1999. Print. Hill, Tim. The Beatles: Die Geschichte Der Vier Jungs, Die Die Welt Veränderten. Fränkisch-Crumbach: Ed. XXL, 2010. P. 323. Print. Wenner, Jann. "Lennon Remembers, Part One. "Rolling Stone. 21 Jan. 1971. Web. 21 Sept. 2016. Beatles. "Beatles Lyrics. "Beatle Lyrics. Web. 21 Sept. 2016. Beatles. "Beatles Lyrics. "Beatles Lyrics. Web. 21 Sept. 2016. Pinnock, Tom. John Lennon Remembered by Yoko Ono: "We Were in Love Desperately", Uncut. Uncut. N.p., 09 Oct. 2015. Web. 21 Sept. 2016. McGaha, Julie. “Popular Culture & Globalization.” Multicultural Education. 1 Oct. 2015. Web. 22 Sept. 2016. Walker Denver. Trends in Youth Culture. Marxism Today 4 July 1974: n. pag. Print. Cf. MacDonald, Ian. Revolution in the Head: The Beatles' Records and the Sixties. London: Vintage, 2008. Print. Gould, Jonathan. Can't Buy Me Love: The Beatles, Britain, and America. New York: Three Rivers, 2007. P.527. Print. J Storey, John . Cultural Theory and Popular Culture: An Introduction. Harlow, England: Pearson Longman, 2009. Pp. 4 -8. Print. Cf. Shotton, Pete, and Nicholas Schaffner. The Beatles, Lennon, and Me. New York: Stein and Day, 1984. Print.